Fae watched as Pin was taken away by Itzal, unable to do anything about it. She herself felt a little guilty about it, but she shook her head and walked away, heading back to the heart of the festival where she met back up with @Stryder who was with Benny, climbing onto Stryder's shoulders again and patting his head. Fae had already switched back to her cheery self, trying to forget what just happened with Pin. "Fae is back mister Stryder! So, how have you been with the guild, Fae bets that you all have been going on fun adventures together!" Fae said, giggling a little. So many new faces with the guild, and yet almost none of the old ones. It was a little sad, but at the same time it meant that Fae could make more friends! If mister Stryder let them into the guild, then they must be good people! And yet again, Pin was blindfolded and dragged away. It scared her quite a bit. Would they have done that to her if she didn't run away from the guild recruitment? Who knows. Nomming on her cookie again, Fae broke off a piece and handed it to Stryder. "Have some cookie! Miss Hestia gave it to Fae." Fae said, looking down at him. Once again, rejection to play from another old pal of hers. This was starting to become a trend at this point and Fae was starting to get tired of it. Walking away from Prometheus, Fae left the NPC kids alone, not wanting to start anything like a snowball fight with them. She liked them, more than the fact that they would actually play with her. It's that they were kids just like Fae. All of the actual kids had been weeded out of this game mostly, so NPCs were her go to buddies. Other than Adrian, Fae hadn't seen a single actual kid this year. Maybe that's what Fae wanted for Christmas, to see Adrian again, just a hopeful reminder that other kids still existed. Everyone already seemed to have their friend group or even just one other person to spend the festival with. "One, two, three, then Prometheus..." Fae counted the people who had turned her down to play so far, and it just made her more sad than anything. What was even the point of coming here? She already expected this result of being lonely. Maybe if someone like Hei or Pin would show up, Fae would have someone to play with, but this didn't seem to be the case. Looking over at Hidden and Mina, Fae considered for a very brief moment playing with them, but they were having a more emotional moment than anything. A few tears ran down Fae's face as she walked back over to help the child NPCs build a snowman this time. Fae made simple talk with them, just simple talk. That made the time go by painlessly and just let her enjoy the moment. Regret filled Fae, so much regret for everything she had done lately. She had everything she wanted, a fun guild, close friends, and everyone loved her. Now she had made so many enemies, almost got herself arrested and possibly killed, people like Hestia now hated her, it was all too much for Fae to think about. Shaking her head, Fae tried to forget how things were back then, not wanting to make herself suffer anymore. Wiping away her tears and putting on her usual cheerful smile, Fae giggled and continued helping the kids with their snowman. The whole time she was thinking she had rolled quite a large snowball for the body, to where two other NPC kids helped her push it. This was fine. Everything was fine. Fae needed be to happy this season, that was all, and these kids were great! Fae made a slightly pouty face as @Itzal told her she couldn't play, before giving a small salute when he said that he was taking the role of watching over others during the festival. Fae nodded her head when he told her that someone else might have fun playing with her. "Okey dokey mister! Bye bye!" Fae said before turning around and walking away, looking around and not realizing that he had looked towards someone else for her. She kept was going to join the kids again, but now she decided to join the raffle, anything to get friends really. So Fae strolled up to @Benny and tugged at his arm as she usually did to get his attention. "Hi mister! Can you enter Fae in the raffle? Fae's gonna bring you back a cool drawing in a bit too! It's gonna be all Christmasy!" Fae asked excitedly. She looked around more after entering the raffle, spotting @Prometheus and running up to him quickly. "Hi pal! Fae is happy to see you again!" Fae said, hugging him and wrapping her arms around his waist. It was nice seeing the guy again, someone who didn't hate her yet. Fae cotninued playing with the kids, now almost done with their snow fort. While it was fun, she knew that once she left them, the snow fort would disappear since they were NPCs. Looking over at how everything was going with the festival, a lot more players were showing up, none or them Fae recognized. There's a lot of strong people here, probably why I know none of 'em... Fae thought to herself as she looked into the crowd. Then she saw @Itzal staring at her. It wasn't that she could see his eyes or face or anything like that really, just his opening of his hood was right in her direction. Fae didn't know why he was staring, but she figured it was safe to talk to him at least. "Hi mister! Did you wanna play with Fae today? Whether you wanna or not, you're gonna get a big hug from Fae!" Fae said before running up to Itzal and hugging his waist, looking up at him. The bell on the collar she was wearing was jingling wildly with her movement, going along with her whole reindeer outfit. 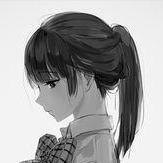 Fae sighed in slight disappointment as @Hestia talked to her in a neither happy nor upset tone. She crossed her arms as Hestia ruffled her hair a little, turning around. "If you still hate me at least let me know..." Fae muttered as she fixed up her hair from the way Hestia ruffled it. The other guy that introduced himself as @Spencer seemed weirded out by Fae, but at least he waved. "Merry Christmas to you Spencer have fun!" Fae said cheerfully as she smiled back at him, walking away quickly to keep him from getting uncomfortable. "Rats, looks like all the grown ups don't wanna play with Fae..." Fae said to herself as she walked around the festival to look for someone else to play with. Finding no one else, Fae joined the NPC kids in building a snowfort, fitting right in with them aside from her pink hair making her stand out. After what she had done, Fae should have expected this kind of result if she attended a party or festival like this. When Fae heard the announcement about the art contest and the raffle, Fae shrugged her shoulders. Any more attention being drawn to her just meant more people would remember to hate her, so Fae decided to pass for now.